Author, Small octavo, paperback, colour photographs. 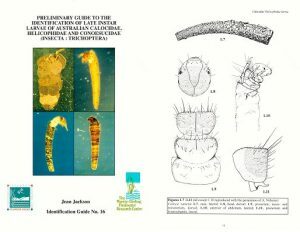 Preliminary guide to the identification of late instar larvae of Australian Calocidae, Helicophidae and Conoesucidae (Insecta: Trichoptera). 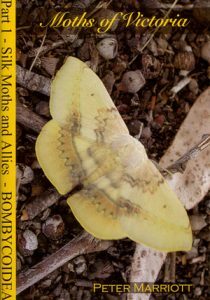 Moths of Victoria: Part One, Silk Moths and Allies Bombycoidea. This is the first part in a series of ten to twelve which will cover the 2,000 species of Victorian moths. 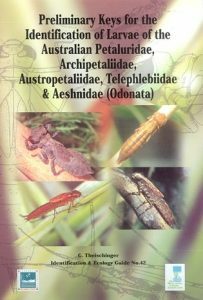 This handy sized booklet figures the 85 species of Silk moths found in Victoria, Australia. 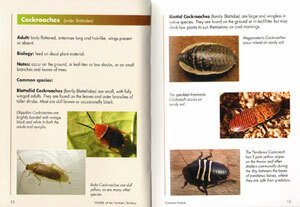 Species are set to display front and rear wings and many species are also illustrated in natural positions. 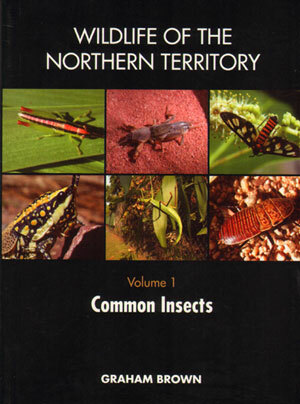 A CD provides over 130 additional pages which contain biology and distributions for each species together with checklists, identification tips and more. Part two (12327), part three (13042) part four (13697), part five (14144) part six (16385), part seven (16381), part eight (16379). 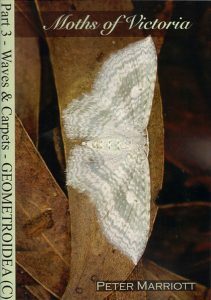 Moths of Victoria: Part three, Waves and Carpets and Allies Geometroidea (C). Part three in a series of ten to twelve which will cover the 2,000 species of Victorian moths. This part covers the Looper caterpillars which are a familiar sight on plants everywhere. Most belong to the geometrid family of moths, of which carpets and waves make up about a third. Part one (see stock ID 12326), part two (12327), part four (13697), part five (14144) part six (16385), part seven (16381), part eight (16379).